We were made very welcome and the staff were friendly and approachable. The room was perfect for our needs with a recently modernised bathroom, kitchenette with all the necessary equipment, nice bright room with a balcony with a pleasant view. The beds were just as we like them with good firm mattresses.The location was perfect, just a few yards back from the beach. The property is very close to the beach, the staff was very kind and helpful. The room was clean and nice. The staff are very friendly and helpful, we were well looked after and enjoyed our stay. The hotel is not far from the sea. Towels and bed linen changing every 3-4 days. The apartments are very close to the beach. The staff is helpfull and the rooms are clean. Estudio amplio. Cercano a la playa. 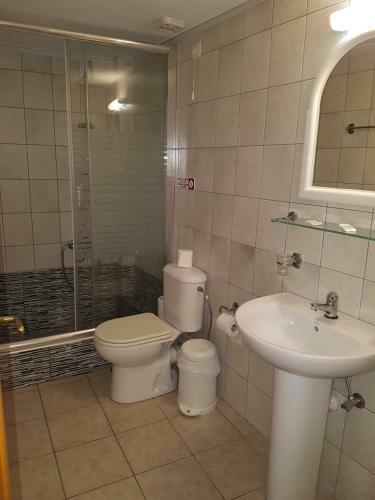 Baño moderno. Tolle Unterkunft. Sehr gepflegt. Klasse Lage. Einfach schön. Ich komme wieder!!! Lock in a great price for Andy's Plaza – rated 8.8 by recent guests! 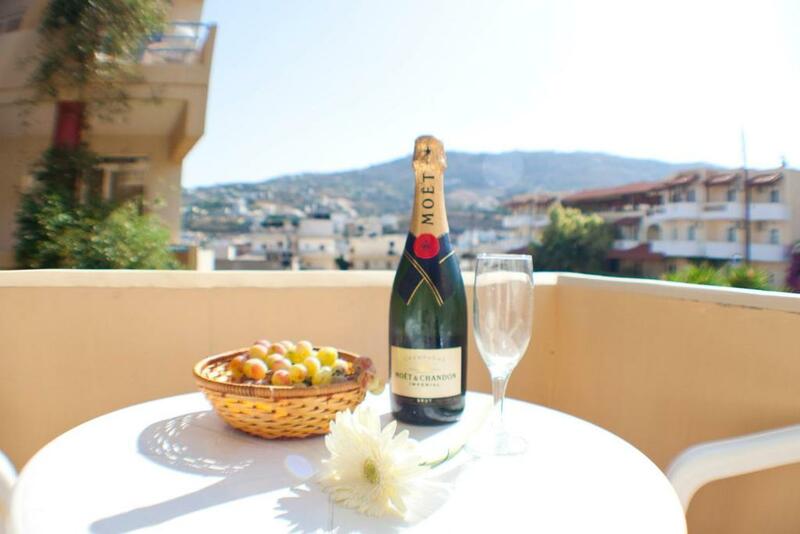 Andy's Plaza hotel apartments are situated at the picturesque village of Agia Pelagia, only 500 feet from the fine-sand beach. 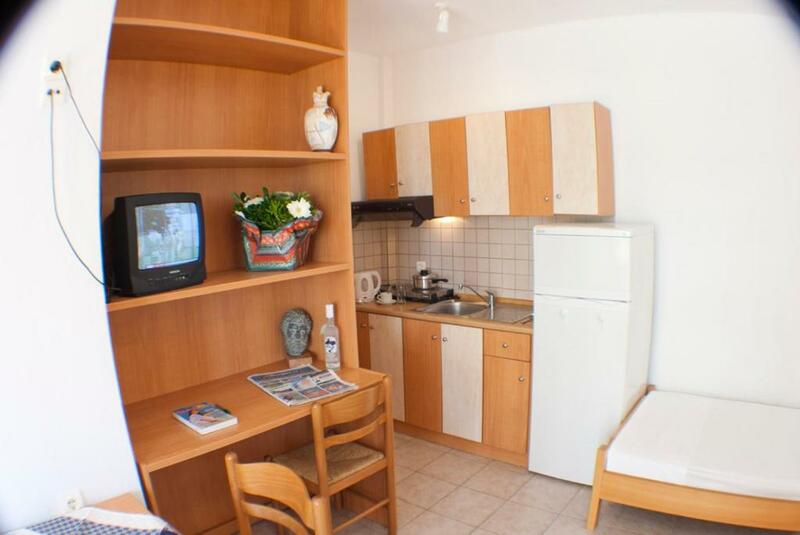 All apartments are equipped with all modern amenities that guarantee a pleasant, comfortable stay. Andy's Plaza also provides a spacious roof garden with a great view of the Aegean sea, where guests can relax and enjoy the sun. Agia Pelagia lies right in the middle of Crete, which makes Andy's plaza an ideal base for excursions around the island. Nearby the hotel many taverns, bars, cafes and shops can be found. Surrounded by mountains and hills, with about 9 smaller sandy and rocky beaches the location guarantees pleasant, unforgettable vacations. 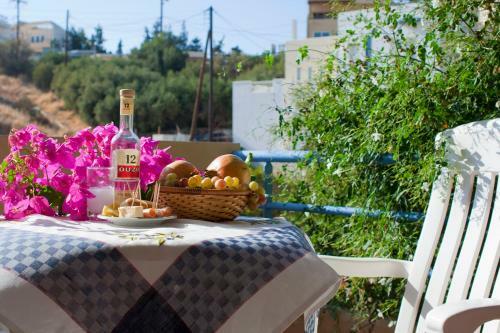 This is our guests' favorite part of Agia Pelagia, according to independent reviews. This property is also rated for the best value in Agia Pelagia! Guests are getting more for their money when compared to other properties in this city. 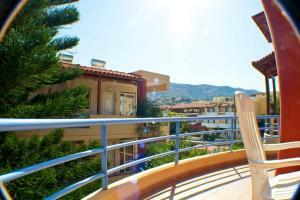 뀐 Located in the top-rated area in Agia Pelagia, this property has an excellent location score of 9.4! When would you like to stay at Andy's Plaza? This air-conditioned apartment features one separate bedroom and an open plan kitchenette with a seating area. Please note that this room type can accommodate one extra bed (see hotel policies). This apartment features one separate, air-conditioned bedroom and an open plan kitchenette with a seating area. Andys’s Plaza is a family owned hotelin Agia Pelagia. Our hospitality, kindness and service mind attitude is filtered throughout all the Apartments and Studios. We offers all clients a clean, friendly and relaxing environment and within reasonable prices for the past 10 years. However you choose to enjoy your holidays, you can be certain that Andy’s Plaza will provide you great service that will make your vacation memorable. You will come to us like a guest and leave as a friend ! House Rules Andy's Plaza takes special requests – add in the next step! One older child or adult is charged EUR 5 per night in an extra bed. Andy&#39;s Plaza accepts these cards and reserves the right to temporarily hold an amount prior to arrival. Andy's Plaza accepts these cards and reserves the right to temporarily hold an amount prior to arrival. Please note that free WiFi is also available in the balconies of the studios and apartments. Bathtub is very small even for standing.